PVREA spotlights one of its members - the Northern Colorado Veteran Resource Center. “You become family with the guys you serve with in the military,” Harrison Swift explained. He was born in Mingo, Iowa and raised on a farm that produced everything from pigs and cattle to corn and soybeans. After he graduated high school, he went to college, but his plans changed when he heard a story on the radio of, yet another young soldier killed overseas. He went to a recruiting office and enlisted in the Marines. 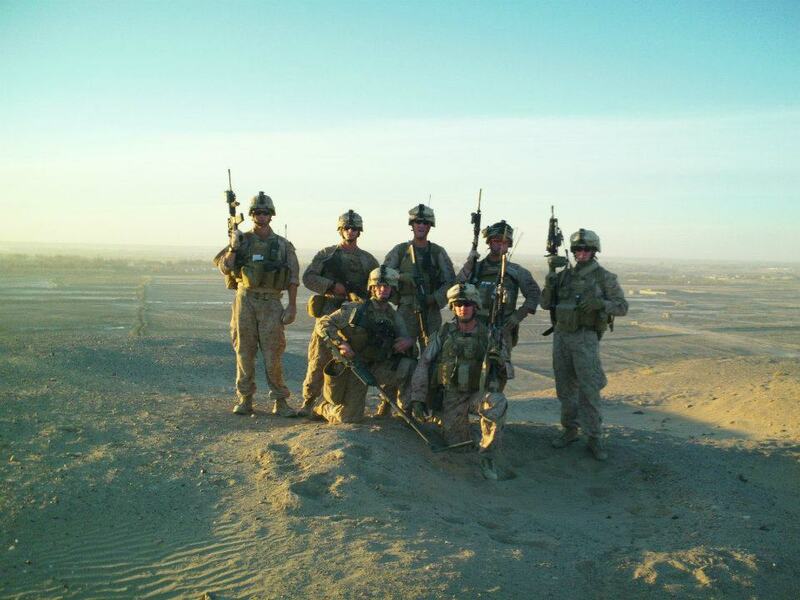 Harrison Swift with his squad in Afghanistan. Fast forward, and Swift is an infantry rifleman and radio operator for his squad during his tour from 2011-2012 in Afghanistan. Fast forward further after serving in the military, Swift is back in the United States with minor knee injuries, but home with his wife Emmie. They moved to Colorado. He was accepted in the University of Northern Colorado. That’s when things started to become difficult. The cost of living was high, and Swift couldn’t find a good job. He decided to take a low paying job and try balancing it with his classes. He was at an emotional low at this point, which was causing stress on his marriage and self-esteem. On top of financial struggles, it wasn’t long after he was back on American soil that he received word one of his fellow Marines passed away. This tragedy became a pattern- he lost his friends, military brothers, regularly due to suicide and reckless behavior. After attending his friend’s funeral in 2014, he felt the need to do something. He felt that God gave him the desire and confidence to take a stand to help other veterans transition back to civilian life after serving overseas. Adjusting back to civilian life from active duty was difficult for Swift. He ran into obstacles adjusting mentally, finding a job and taking steps to make himself feel like a functioning part of society again. When he reached out to organizations for help, he felt like he was getting the runaround. He was directed to assistance programs and traveled to many of them all the way from Denver to Cheyenne. When he thought about helping his fellow veterans, he wanted to eliminate this inconvenience. He wanted to have the vital resources that veterans need, all in one spot. 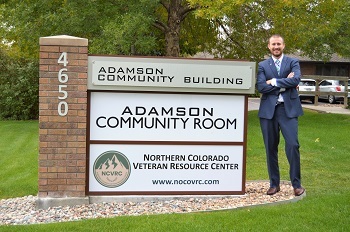 Swift started working with a small business development center to help him transform his idea into a reality - The Northern Colorado Veterans Resource Center (NCVRC) was formed in 2017. In the beginning stages of NCVRC, Swift met with a small number of veterans. The recurring themes that veterans expressed difficulties about were feeling lost and confused, dealing with events that happened overseas, not knowing the resources they had available to them, how their benefits worked and physical pain. Using his work, military, and volunteer experience, he organized partnerships with non-profit organizations and resource services to host in his office building in Greeley. As of now, Volunteers of America, Healing Warriors, Assisted Living Locators, Rock Jennison with EXP Realty, a Veteran Affairs Transition Coordinator, and a Reiki therapist are all in-house, available in one spot. Swift and the other resources help veterans by making sure they’re enrolled in the Veterans Affairs (VA) health care and walking them through the steps to find what they need to become successful in the civilian world. Classes are offered by an employment adviser to assist with resume building, writing cover letters and interview skills. Edward Jones also hosts financial programs to teach about budgeting and financial stability. Harrison Swift in front of his office building in Greeley - a resource center for veterans. Swift has been amazed by the amount of money that has been given by private donors and corporate giving from Colorado and even out of state. These donations are applied to the programs and veterans directly as the resource center continues to raise funding to cover the overhead costs of the organization. The number of veterans NCVRC is helping has increased to more than 70 people, averaging 40-years-old or younger, with the numbers growing every month. Although the future of the resource center is not set in stone, the sky is the limit. For more information about NCVRC, visit www.nocovrc.com.